Looks like someone is trying to rehabilitate her image following the controversy of attending the birthday celebrations for Chechen Republic President Ramzan Kadyrov. 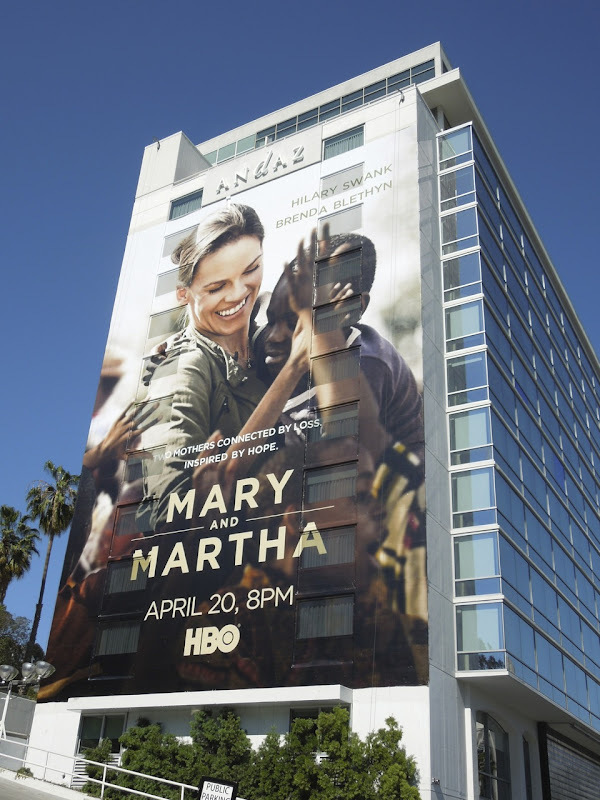 Hilary Swank made the ultimate PR faux pas by being paid to attend the party, along with other celebrities, of the leader accused of numerous human rights violations in October 2011. 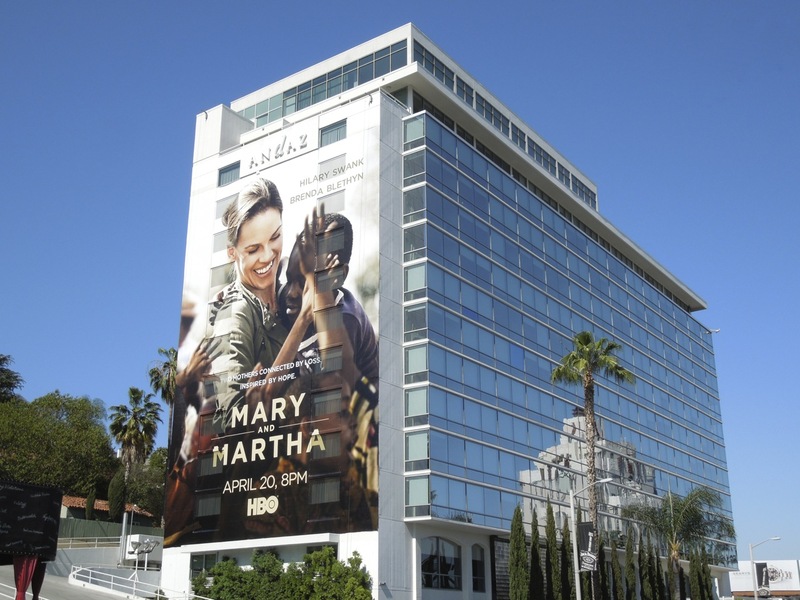 The two-time Oscar winner (for Million Dollar Baby and Boys Don't Cry) is usually known for portraying strong characters of conviction, so maybe that's why in her latest role in HBO's TV movie Mary and Martha she's helping to combat malaria in Africa. 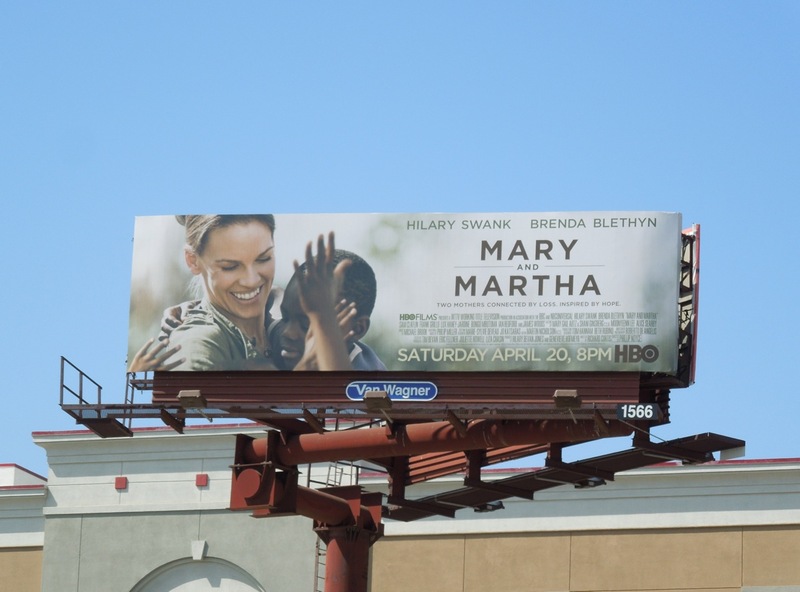 The actress and Brenda Blethyn play grieving mothers who unite after both losing their sons to the preventable disease. 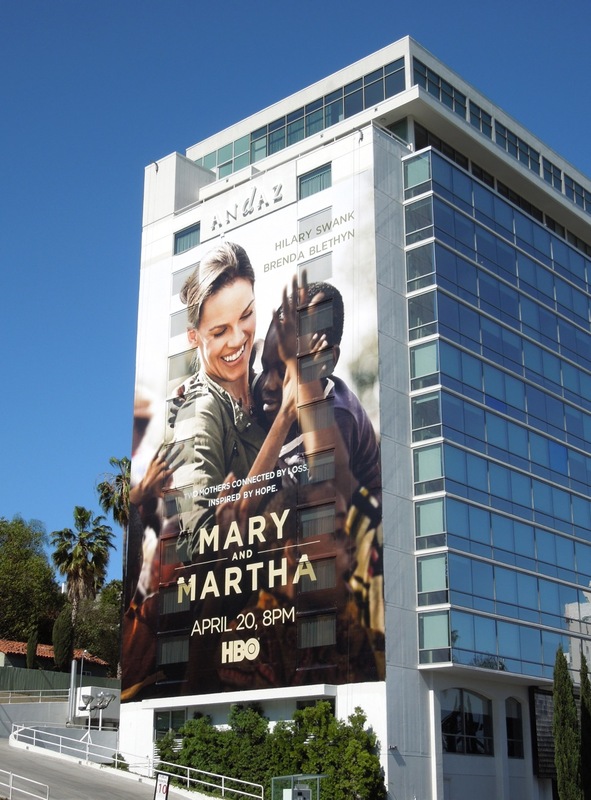 This super-sized billboard for Mary and Martha was snapped on the side of West Hollywood's Andaz Hotel along Sunset Boulevard on April 21, 2013. 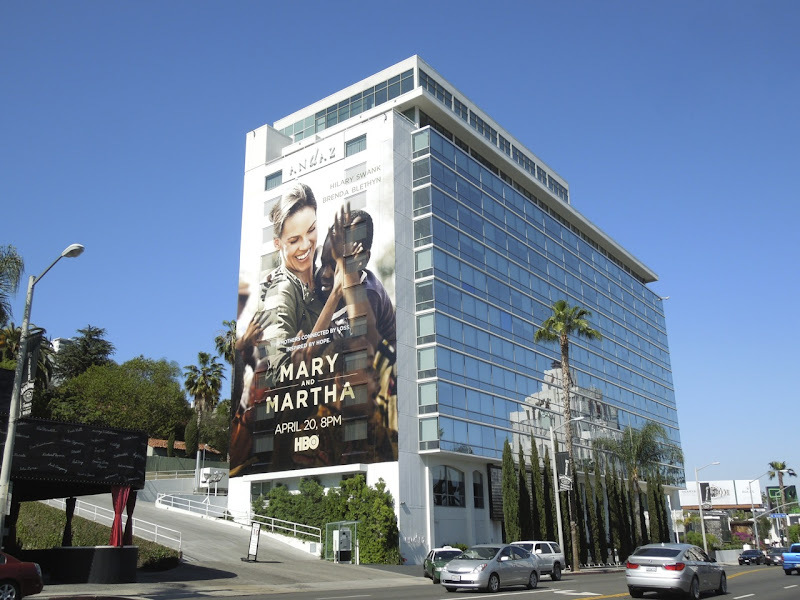 Now that's a nice bit of Hollywoodland damage control. 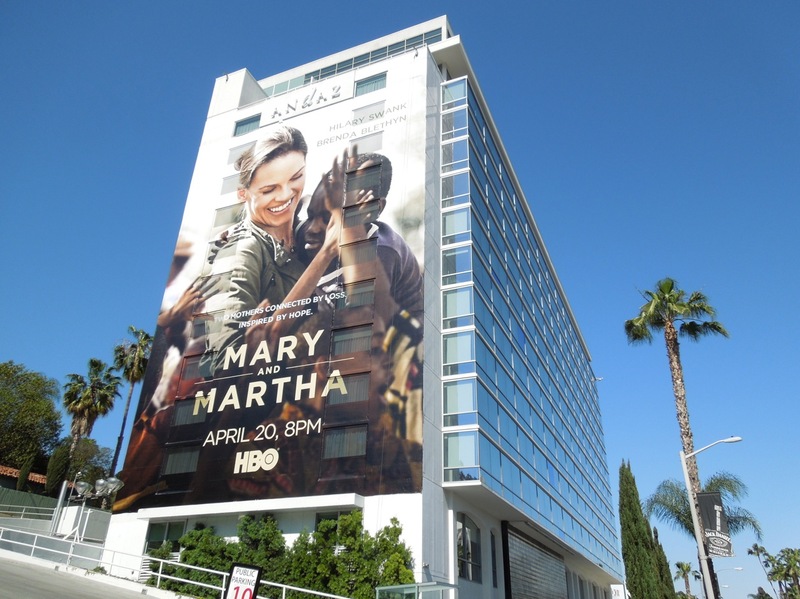 UPDATED: Here's a standard landscape version of this creative which doesn't have quite the same impact as the giant-sized ad, which was snapped along Olympic Boulevard on April 27, 2013.